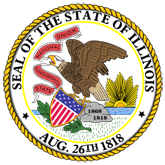 The Electronic Documents of Illinois provides permanent public access to official publications of the State of Illinois which have been deposited in electronic form. This depository does not contain all State of Illinois published documents. Please check the Other Collections link, the appropriate agency website, or your local library for more information.